Wildlife benefits: All the late-season asters are important food sources for wild bees, bee flies, and many other insects. Purple-stemmed Aster’s leaves are eaten by caterpillars of the butterflies Silvery Checkerspot and Pearl Crescent. 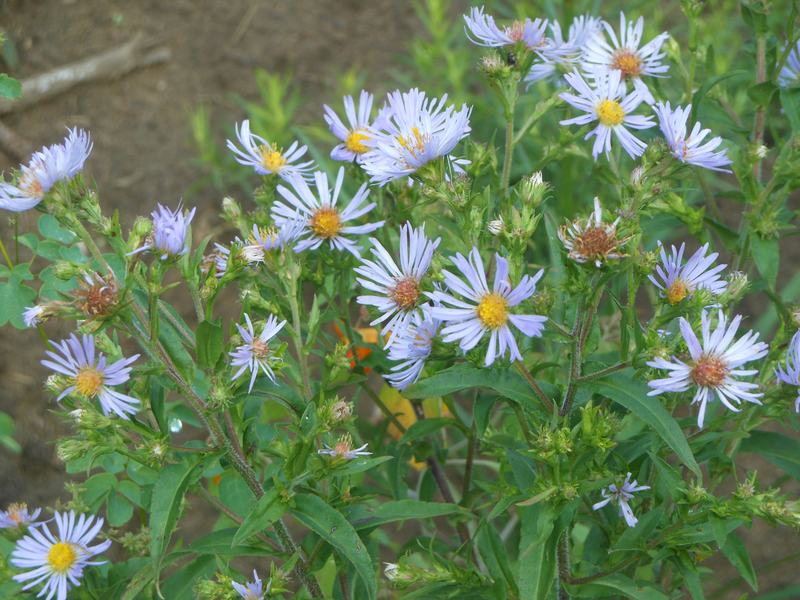 Remarks: Also called Swamp Aster. An excellent plant for shoreline naturalization but the relatively large blue flowers also make it a candidate for a moist spot in the perennial garden. It will be “bare below the knees” by the time it flowers, so place it behind other plants in the border.